John Pickstone was a great connection-maker: ideas with ideas; ideas with people; people with people. “Getting Pickstoned” was how the speakers at his retirement workshop in Manchester in May 2012 referred to that moment when, in his quiet but insistent and escalatingly persuasive (as well as, often, scabrously amusing) way, John set them onto the problem or project or person that would go on to change everything. The BSHS’s new Pickstone Prize is our tribute to a much-missed colleague and friend. In honouring the best recent scholarly book in the history of science, medicine and technology, the Prize is a fitting memorial both to the man and to his gift for promoting excellence in our field. The list of shortlisted books for the 2014 Pickstone Prize was exceptionally strong. 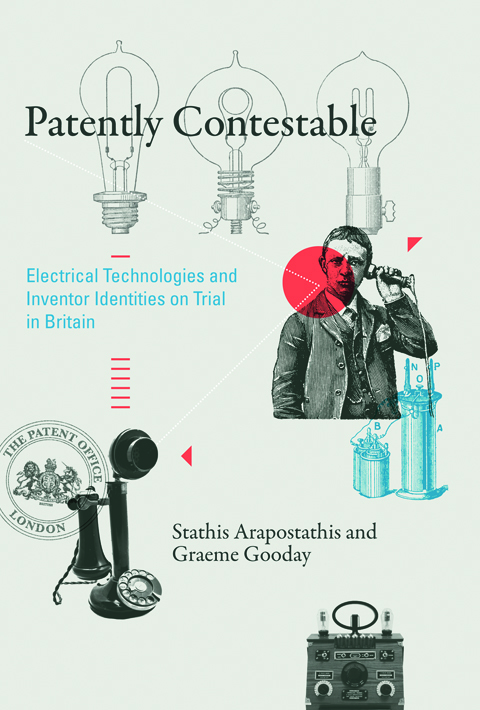 But in the end one book stood out: Patently Contestable: Electrical Technologies and Inventor Identities on Trial in Britain, by Stathis Arapostathis and Graeme Gooday (MIT, 2013). The Prize Committee’s commendation can be read in full below. Another pair of BSHS Prizes, the Great Exhibitions Prizes, were recently awarded by the Society’s Outreach and Education Committee (OEC). In the large displays category, the winner was the National Maritime Museum, London, for Ships, Clocks and Stars: The Quest for Longitude, which can be seen until 4 January. The winner in the small displays category was the Collection of Historical Scientific Instruments at Harvard University for Body of Knowledge: A History of Anatomy (in 3 Parts). Never at rest, the OEC are now in the thick of judging the 2015 Dingle Prize, for the best recent book in the field for a general audience. Our other major committee, the recently renamed Conferences Committee, has likewise been busy, awarding small grants for conferences around the country (see below for details on future deadlines and how to apply), and planning the 2015 BSHS annual conference in Swansea, 2-5 July. Proposals for sessions and individual papers for the Swansea conference are now being accepted, up to 31 January. Again, details can be found below. A final word on one of the Society’s publications, our magazine Viewpoint. The most recent issue to arrive in your pigeonhole, mailslot or mailbox will be the last under the editorship of Melanie Keene. For five years, Mel has filled issue after colourful issue with vivid writing from an extraordinary range of contributors, on everything from meetings to museum objects to, in this final issue, the Meccano Magazine (in a piece by Peter Bowler), with each issue organized around a theme of her devising. She’s been an exemplary editor in every way, and Viewpoint a constant delight. On behalf of all of us, her grateful readers, it’s a pleasure to offer our deepest thanks and appreciation. The British Society for the History of Science is very pleased to award the 2014 Pickstone Prize to Stathis Arapostathis and Graeme Gooday for their book Patently Contestable: Electrical Technologies and Inventor Identities on Trial in Britain (Cambridge, Mass. : The MIT Press, 2013).This superbly scholarly volume offers a richly wrought set of case studies of electrical technologies including telephony, incandescent lighting, electrical power and wireless communication in the late 19th and the early 20th centuries. This history is examined through the lens of patent litigation, yielding detailed and insightful accounts of how the untidy legal proceedings shaped the development of key technologies. In addition, the authors convincingly argue that the process of gaining, using and defending patents helped form the very identity of the inventor. As Edison well knew, his public proclamation was wrong: fame, fortune and even “genius” depended on public disputation as well as inspiration and perspiration. At the center of Anglo–American patent law was the concept of the “true and first” inventor who alone should profit from exclusive exploitation of the patented idea. Determining this truth was a matter for arcane patent law and aggressive adversarial contests, and in that connection the authors neatly link their historical accounts with historiographical issues. The process of patent litigation was also a process of the writing and the revision of history, courtroom judges playing the role of the arbiters of historiography to be inherited by future generations.Arapostathis and Gooday’s work constitutes a significant methodological contribution, with great potential to stimulate similar analyses of other periods, disciplines and contexts. Even though the book is focused on developments in Britain, that British story is told with a clear awareness of cross-national comparisons and trans-national entities and events. Especially the American side of the story is ever-present, both as a comparison and in its entanglement with British developments. A useful contrast is made between British and Continental legal frameworks, with an instructive discussion of the impact of the adversarial nature of the British system. In addition, the authors pay due attention to claims and disputes concerning the priorities of inventions taking place outside the courtroom, and paint an interesting picture of how the legal and non-legal discourses interacted with each other. Aside from being a novel and informative account of an important piece of our technoscientific past, this book has clear pertinence to current issues surrounding intellectual property. It may also have appeal for wider audiences in providing insights that are pertinent to the uptake of future technologies. Many issues of economics, law and public policy discussed in this history remain as important for modern corporate practice as they were over a century ago.